Lotus Villa is dedicated to strengthening the corporate and social best practices. 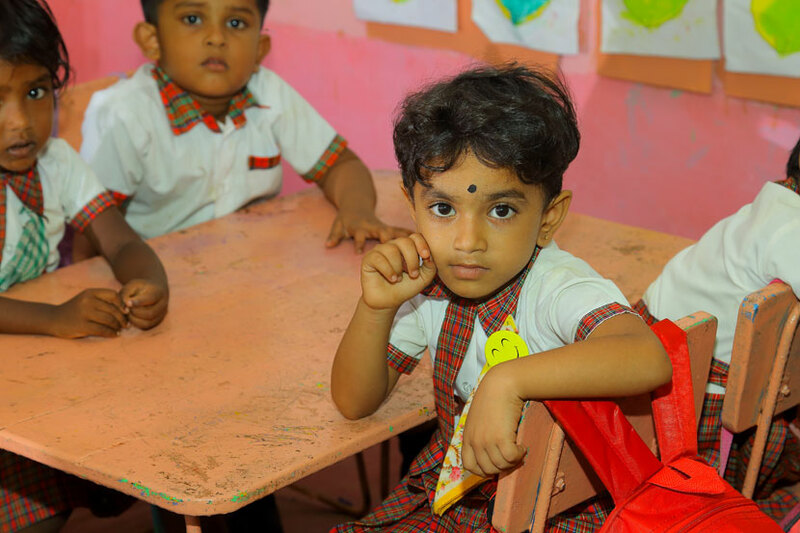 Peter Huber School is the main CSR project conducted by Lotus Villa group and firmly believes that education is the best solution to empower the unprivileged local communities. Children who live in the nearby villages are the beneficiaries of this project. In 1998, this preschool was started with the participation of few children of nearby families. It was named as “Samanalaya” pre-school which means butterfly in Sinhalese. Currently, Peter Huber School educates 60 children with the guidance of four well-trained teachers. Reverend Vimalawasa Thero, the chief incumbent of Yogashrama Maha Viharaya, Ahungalla is the main advisor and is responsible for the overall management of the preschool. He is a lecturer in the University of Ruhuna with more than 15 years of teaching experience. Currently Rv. Vimalawasa Thero is reading for the Ph.D.
Peter Huber School is no more a conventional nursery of Sri Lanka because, here, not only the kids but also parents are advised on how to raise a well-rounded and capable child. The vision of the school is to create an academically, morally and socially well-balanced child for the future. Therefore, the entire curriculum and the activities are designed and implemented under the thorough supervision of Rv. Vimalavasa Thero. Other than the education, all the kids in the school are provided with uniforms, food and required study materials free of charge. Not only the education, but Peter Huber school also organizes various events to ensure children enjoy and gain other experiences too. The New Year festival, Wesak festival, Poson Perahera, year-end concert, an annual trip with kids and parents and many more events fill the young hearts with joy and happiness.